Nearly 1 Billion people around the world survive on just 4 liters of water for cooking, cleaning, bathing…for everything. Could you? We recently saw this very inspiring video online about a challenge to raise awareness about the (nearly) one billion people at home and abroad who don’t have enough clean water to live normal healthy lives. 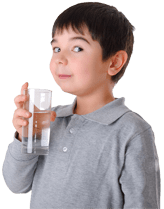 For up to 5 days you’ll live on just 4 liters of water because that’s the same amount of water that nearly one billion people live on today. Learn more about this challenge at www.4liters.org, and watch the video here.